Posted on 01/11/2016 by Mickey McCarter	in Live Review and tagged David Bowie, England, glam, new romantic, new wave. I only ever saw David Bowie in concert once. David hit the Nissan Pavilion (now Jiffy Lube Live) on July 28, 2002, as part of a festival called Area 2, organized by Moby. David was promoting the album Heathen, which he toured extensively to support. It was a solid album, certainly, but if you’ll look at the setlist from that show, you’ll see it was a special show indeed to be able to see David perform some of his signature tunes. He opened the show with a very favorite song, “Life on Mars,” which many people have misinterpreted as a literal statement, particularly given that Bowie was always fascinated with science-fiction and space: “Oh, hey, this song called ‘Life on Mars’ must be about life on other worlds.” But it wasn’t. It was a song about life among ourselves. It was not a song about an *alien*, but rather a song about *alienation. * The protagonists of the song are left to wonder why things have gone awry. 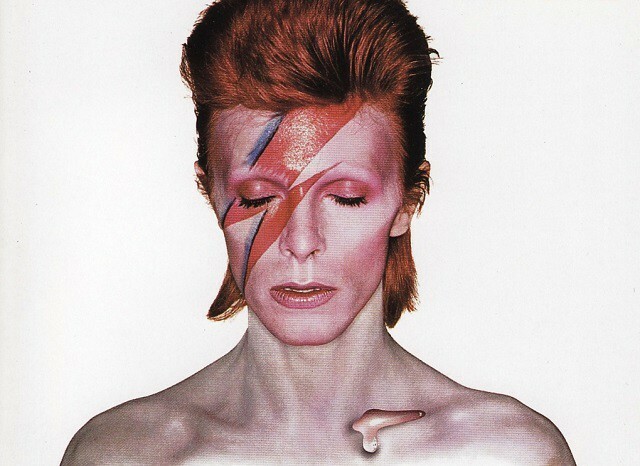 And that was the appeal of David Bowie for me: He made it okay to be alienated, weird, and even lonely. David understood people like myself, and he said we were cool. Then, he gave us some fantasies upon which to hang our ideals. “Life on Mars” first appeared on the Bowie album Hunky Dory, released in 1971, the year I was born. And it is accurate to say that I’ve grown up listening to David’s music all of my life. The teens and adults in my life as a youth adored him, and I came to adore him too, particularly as I formed my own taste in music around the new wave banner flown by early MTV. David already was a star, and those early years of MTV presented him like the giant he was. It helped that he had a very fine album, Let’s Dance, in 1983, for which he was happy to make painstakingly fashionable videos. The album was so good in part thanks to the contributions of Nile Rodgers and Stevie Ray Vaughan, but the very soul of it was simply Bowie through and through. David already had been a video innovator of course. He practically broke Britain with his performance of “Starman” on Top of the Pops on July 6, 1972. If nothing else, he certainly launched the music careers of a generation of male musicians with one single song. New wave musicians looked to him for cues, particularly finding inspirations in his Berlin trilogy — Low, Heroes, and Lodger. Those albums had an even bigger impact on a subset of musicians in 1979 who became known as the New Romantics. Their scene idolized the glam aesthetics of Bowie and Roxy Music and seized upon the prevailing electronic music trends of the time. The results were fantastically and wildly great bands like Duran Duran, Spandau Ballet, Visage, and many others so good but too numerous to list. That particular strain of dance music and its unbridled optimism left an impression on my young mind like no other music ever could. And so it is that many of my friends, who fiercely love their music as much as I, accessed Bowie through other artists and other places. I myself always returned to the well of Bowie whenever I was thirsty. David released a final studio album Blackstar on Friday. I approached it with a bit of skepticism in part because he dabbles in some progressive jazz. Don’t all older musicians turn to jazz? Is it not a bit of a cliché? But there was never any doubt I would go to the store and purchase the album as soon as I was off work, and there also was never any doubt that it would exceed my expectations so brutally. Because at the end of the day, one thing makes for a good Bowie song: his voice. That voice. That impossible, unduplicable, indelible voice. It cuts through you like nothing else. And if you never ever had seen Bowie in person, you would need only that voice to tell you everything you ever need know about him. Then, if you met him after the fact, you would know instantly in your heart it was he — as that voice could belong only to that face. I still cannot sing at all worth a damn. But I’ll always have David’s music to inspire me, to give comfort me, to remind me to look in from the outside. Thank you, David.